Serving Central Austin with 10 and 20 yard roll off dumpsters. Central Austin junk removal is now easier, more affordable and more reliable when you work with RUBBISH INC™. We offer residential and commercial junk removal services, including dumper rentals in Central Austin. We give you a simple way to keep debris and trash contained so your property is safer, cleaner and compliant with city regulations. Don’t let junk slow you down or increase your liability. Get it gone fast with our Central Austin junk removal services! Located in the heart of Westlake, we are proud to serve all Central Austin neighborhoods. 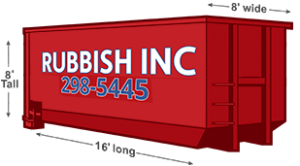 Residences, construction sites, apartment complexes, commercial properties – RUBBISH INC™ roll-off dumpsters can be delivered anywhere there’s debris. We use high-quality dumpsters along with a hook and lift system that allows us to gently place the dumpster exactly where you need it. There’s absolutely no concern about the dumpster damaging your property. Give us a call to let us know more about your project and when you need a dumpster delivered. 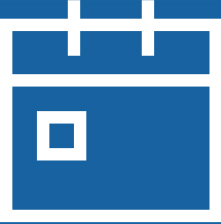 One of our team members will help you decide which dumpster size will be most economical. You can choose from 10 yard and 20 yard dumpsters. Tell us know where you want the dumpster placed. That’s it! We’ll show up on time and you don’t even have to be there for the delivery. Whenever you’re done using the dumpster call us and we’ll come pick it up. Let the RUBBISH INC™ junk removal crew handle the heavy lifting and hauling. Our Central Austin junk removal service includes a two-man crew and 20 cubic yard trailer that can hold up to 4 tons. Just let us know when you need us to be there and what junk needs to be picked up. We can get there within 24-48 hours and start working immediately. Need the property to be cleaned up as well? We offer an additional clean up service that will leave your property completely free of garbage, trash and debris. We charge by ¼ of a trailer so you can get all the junk gone without overpaying! Fair Rates, Transparent Pricing, Fast Service – You Can’t Beat Central Austin Junk Removal and Dumpster Rentals From RUBBISH INC™! Schedule today and we can get a junk removal crew or dumpster rental to Central Austin by tomorrow! Is there anything that can’t be put in one of your dumpsters? Lots of things can be hauled off in our dumpsters, but there are a few types of waste that we can’t accept. Not many people need hazardous waste hauled off with their junk removal in Central Austin, but if you do you’ll have to find another option. The only other items that can’t go in a RUBBISH INC™ dumpster rental are concrete, soil and gravel. Those materials are extremely heavy and require specialized removal. Give us a call to learn more about how we can help you haul those things off. How much can I put in a Central Austin dumpster rental? Or a junk removal trailer? The short answer is – a lot. Both our 20 yard dumpster and junk removal trailer can hold up to 4 tons of debris. That’s the equivalent of 6 truck loads. We also offer a 10 yard dumpster rental in Central Austin. How quickly can Central Austin junk removal and dumpster rental services be scheduled? We take reservations for Central Austin dumpster rental and junk removal services 24/7. You can schedule the junk removal or dumpster delivery as far in advance as you want or we can get it to you within 24-48 hours. Depending on the availability we may be able to get there even sooner.